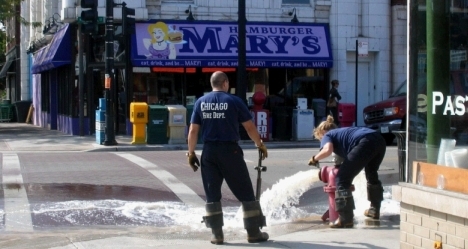 is the primary answering point for 911 calls requesting emergency assistance from callers in the City of Chicago. If you need emergency assistance, dial 911 immediately. Help Needed, we need your help to verify the (OEMC) information shown below is current and correct. 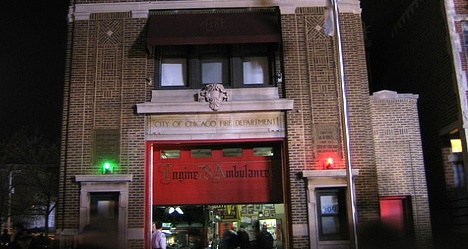 The Chicago Fire Department dispatch is divided into fire operations, and EMS operations. 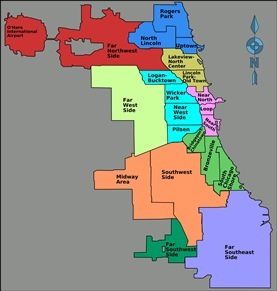 Geographically, the city is divided in two parts, the north side, known on the radio as "Main", and the south side, known as "Englewood". Generally the city is divided in north and south by the south branch of the Chicago River and Sanitary Ship Canal (runs roughly just north of I-55). The Office of Emergency Management & Communications (OEMC) manages and operates the City’s public safety communications systems that coordinate the response of police, fire and Emergency Medical Services (EMS) resources to 911 calls. 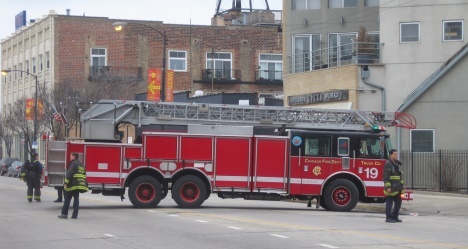 The OEMC operates a world-class voice and data radio system, giving police and fire personnel, on the street, valuable information to help them respond quickly to emergency situations. The OEMC’s Emergency Management Team acts as the coordinator for the City’s efforts to develop, plan, analyze, implement and maintain programs for disaster mitigation, preparedness, response and recovery. The Emergency Management Team is also responsible for directing the activities of City departments and other agencies at disaster scenes. 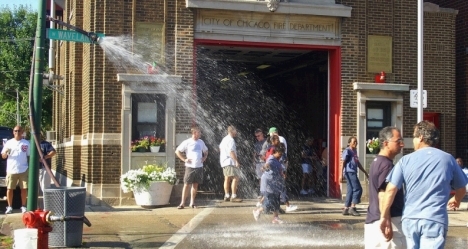 The OEMC operates in a state-of-the-art 161,000 square foot facility located on the west side of Chicago. Constructed in 1995, the 911 Center relies on an internal secure communications network with hundreds of miles of buried fiber optic and copper cable dedicated to providing 911 and 311 services. 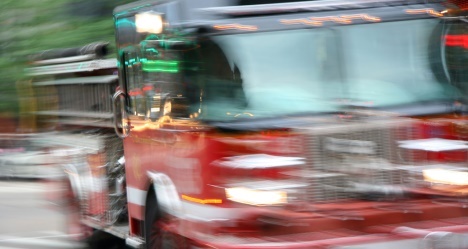 911 is the connection to police, fire and Emergency Medical Services. The call takers and dispatchers at the 911 Center are highly trained, dedicated professionals who staff the Center 24 hours a day, 7 days a week. The Office of Emergency Management and Communications is serious about your safety. That’s why you always have the option to remain anonymous any time you call 911, especially when reporting narcotics or gang-related activity. Simply tell the 911 call-taker that that you would like your information to remain private, and your name, address, and telephone number will not be made available to the police dispatcher or responding police officer. Each time you call 911, make sure you clearly state your desire to remain anonymous. Please do not mistake routine police investigative work, such as canvassing a crime scene for witnesses, as a disregard for your anonymity. Without knowing who called 911, police officers may knock on doors in the neighboring area in an attempt to locate potential witnesses. Automated Map Display: If a 911 call originates from a land line, the phone number and location of 911 call, including building map and vital information of the surrounding area, appear on the call taker's map screen. 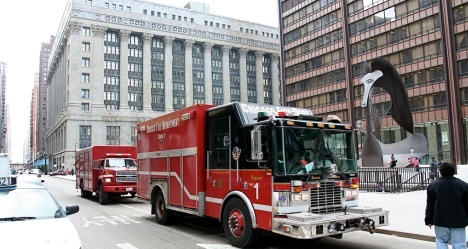 Internal Secure Communications Network (ISCN): A fiber optic communications backbone connects 210 police and fire facilities and enables the City to integrate police, fire and EMS subsystems into a single system. Computer Aided Dispatch: This system enables dispatch personnel to display stored or current information such as incident location, available field resources and connections to external city, state and federal databases. Voice and Data Radio Network: A fast secure communications system allows portable and mobile data terminals to be used by emergency response personnel. Call Processing: The 911 system can process 3,000 calls per hour and can handle more than 6 million calls annually. Language Interpretation Service: This service can interpret over 140 languages and dialects. 911 call takers assigned to Police Dispatch Operations answer calls for service. 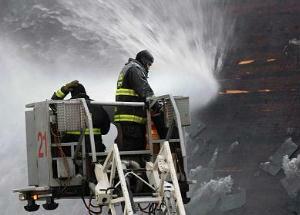 Call takers ask critical questions to determine the nature of the emergency. 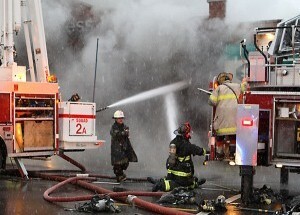 The call takers gather key details to provide accurate and specific information to the emergency responders. If the request is for fire, medical, or rescue-related service, the call will be transferred to a Fire Dispatch Operations call taker. 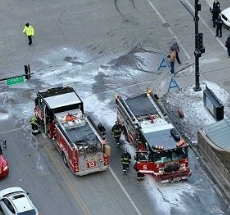 All Fire Dispatch Operations personnel are licensed emergency medical technicians and certified emergency medical dispatchers and utilize a state-certified protocol system designed and implemented by the Chicago Fire Department. By answering key questions, callers receive the appropriate level of care they requested. Once a call taker receives all the necessary information, the call is forwarded to a dispatcher who will assign the call to a police beat car, fire engine or ambulance. The call taker may continue to ask additional questions and relay this information electronically to emergency personnel. Be prepared to provide the location of the event you are reporting, as well as a call back phone number. 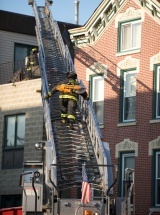 Knowing the cross streets, learning compass directions and identifying landmarks may also assist the responding unit in locating the incident. If there is a perpetrator, a description of the individual, including height, weight, race, whether they are armed with a weapon and/or the type of clothing they are wearing, should be provided. 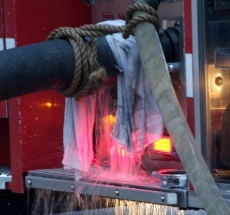 When reporting a fire, be prepared to provide information concerning the location of the fire (inside or outside of a structure), identifying what is on fire, and any additional information that may assist responders in locating the incident. As a matter of policy, call takers are required to ask callers reporting gang and narcotics-related incidents whether they would like to remain anonymous. As a result, the 911 dispatcher, the policeman, fireman or paramedic receiving the call does not see the caller's name or address. Unless the caller is the victim of a crime, the caller may inform the call-taker that he/she wishes to remain anonymous.